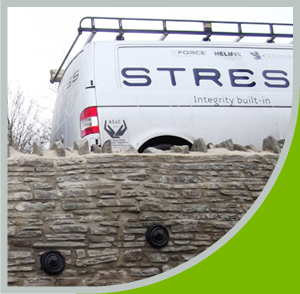 The property featured a three metre high stone retaining wall which provided support to Corner Lane carriageway. 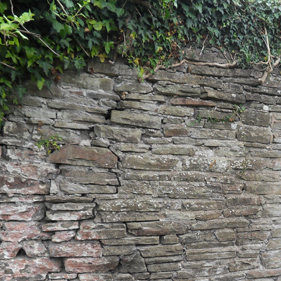 The stone wall had been showing signs of bulging and fracturing probably as a result of more frequent and heavier lorries accessing the small industrial estate the end of the lane. Rebuilding it would not only prevent traffic from reaching the houses and commercial units along the lane but would also destroy the garden below and affect the house at the foot of the wall. 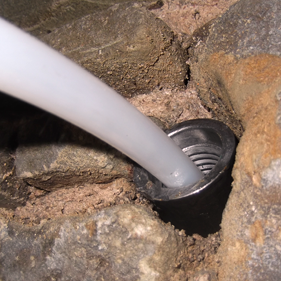 Stress UK designed a strengthening system to amalgamate horizontal and vertical Helifix masonry reinforcement and GeoInnovations ReFORCE ground anchors. 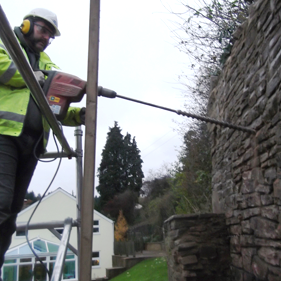 The rehabilitation of the wall was carried out over a ten day period without disrupting traffic, disturbing services in the road or destroying the garden. Three metres high and supporting a road to the other side of the boundary. 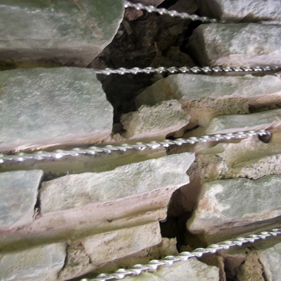 The wall required strengthening on both horizontal and vertical axes. 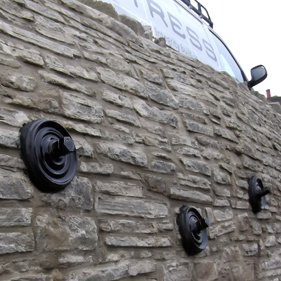 As approved Helifix installers we ensured the wall was strengthening carefully with the minimum visual impact. 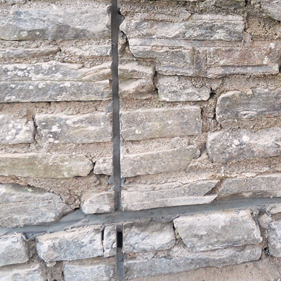 The stone retaining wall was rehabilitated in keeping with it’s original traditional finish.